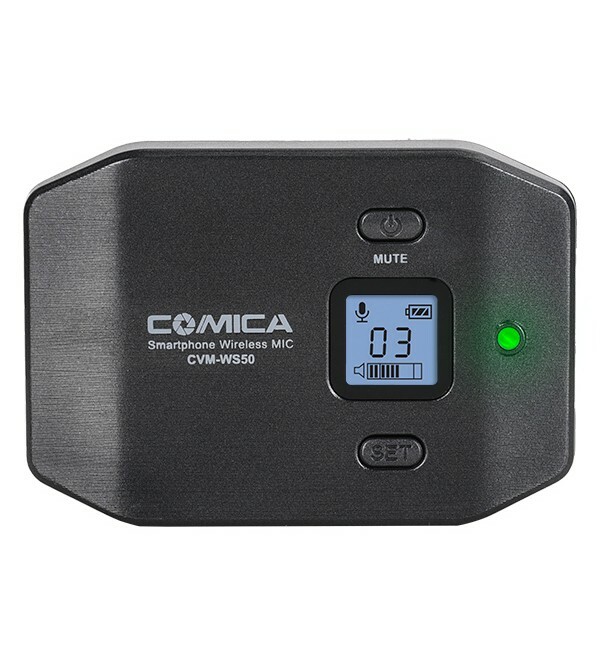 It is a distinctive wireless microphone special for smartphone with more detailed designs and stylish appearance.With a total of 6 channels,volume stepless adjustment and ultra-long barrier-free working distance (up to 60m), WS500 can satisfy any imagination you have when recording voice.What’s more, the lightweight portable design and real-time monitoring of sound quality allowing you conduct video recording easily and achieve a professional audio-visual effects under any environment. 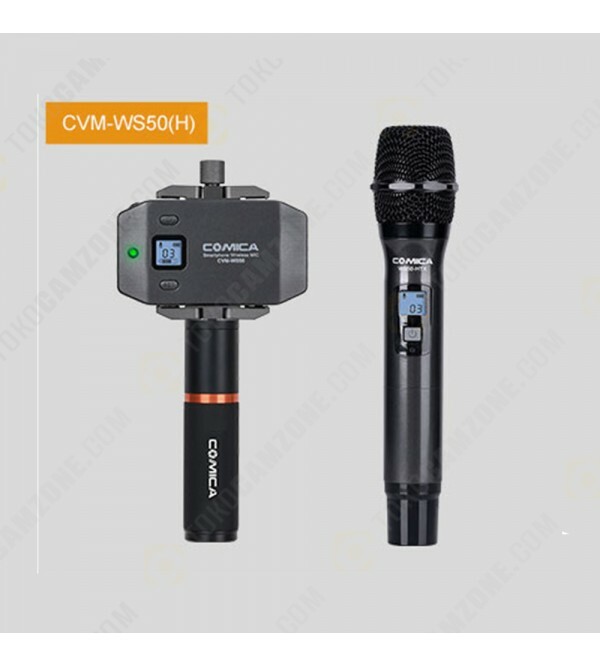 ►【LCD Screen】CVM-WS50 wireless smartphone microphone comes with special LCD screen can display channels, audio status, and power consumption, with dynamic detection of real-time monitoring. ►【Optional 6 Channels】Optional 6 Channels, flexible channel matching. when other channels are disturbed in the same space or near distance, you can quickly switch the channel to prevent interference. 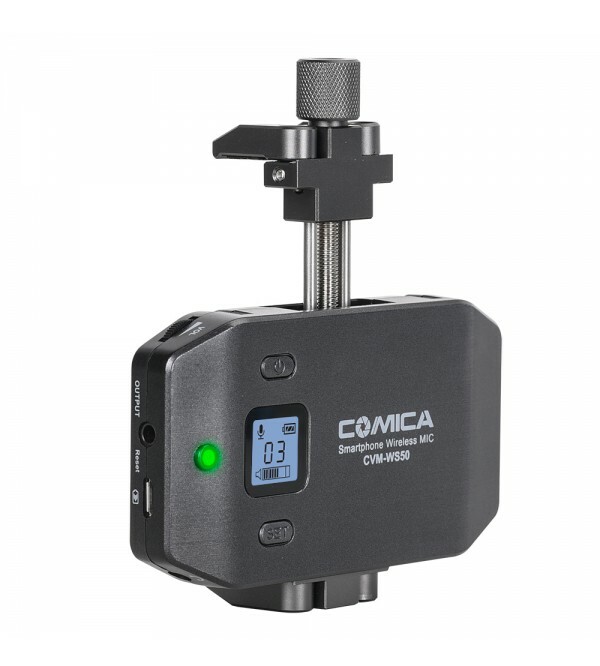 ►【Real-time Audio Monitor】Initially build-in real-time monitoring function of smartphone clamp microphone, you can listen while recording, and monitor the audio status to complete the recording at one time. 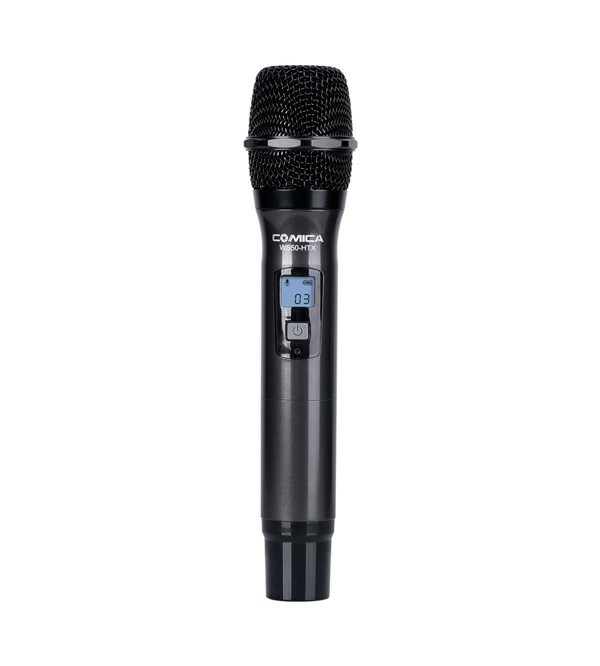 ►【Working Distance Up to 197ft】With UHF Ultra High-Frequency radio wave technology, which used in the frequency range of 520-526mhz, the unobstructed effective distance can reach up to 197ft, and obstructed distance can reach 98ft. 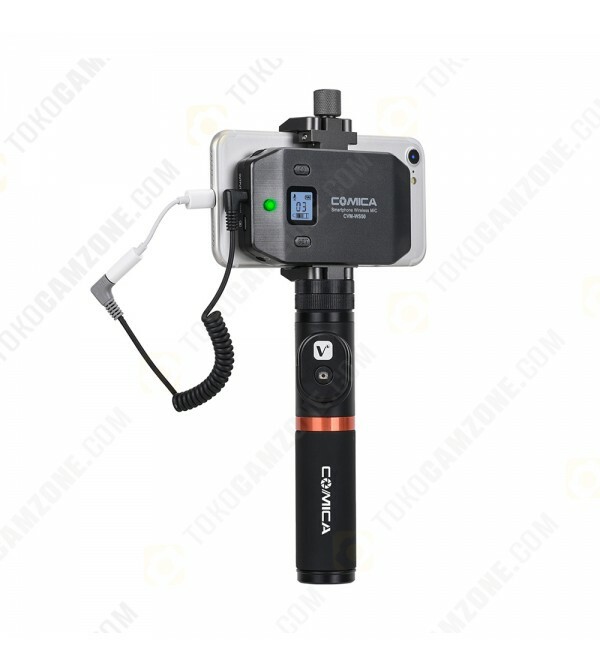 ►【Adjustable Phone Clamp& Bluetooth Remote Control Hand grip】CNC processing, with high-quality appearance and metal shell. 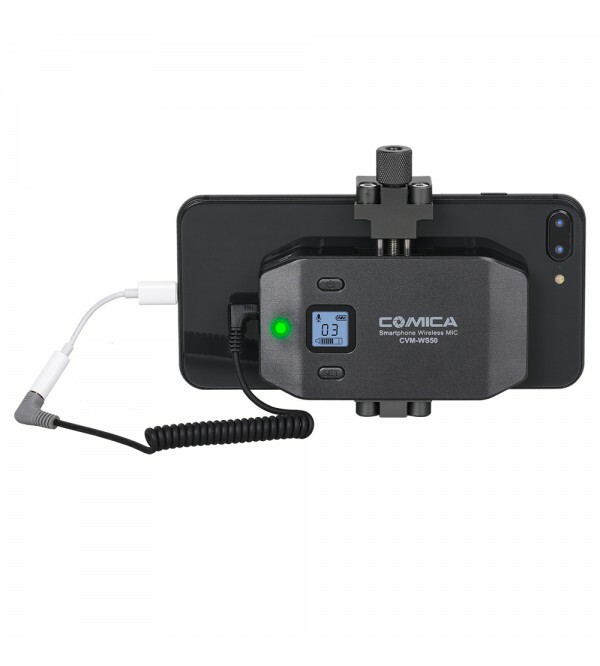 Adjustable smartphone clamp width, which is suitable for all smartphones. Equipped with removable electronic Bluetooth handle, intelligent control of video recording, no need to install any third-party software.